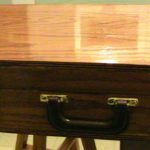 Home / WoodWorking / Custom Guitar Case, From Scratch. 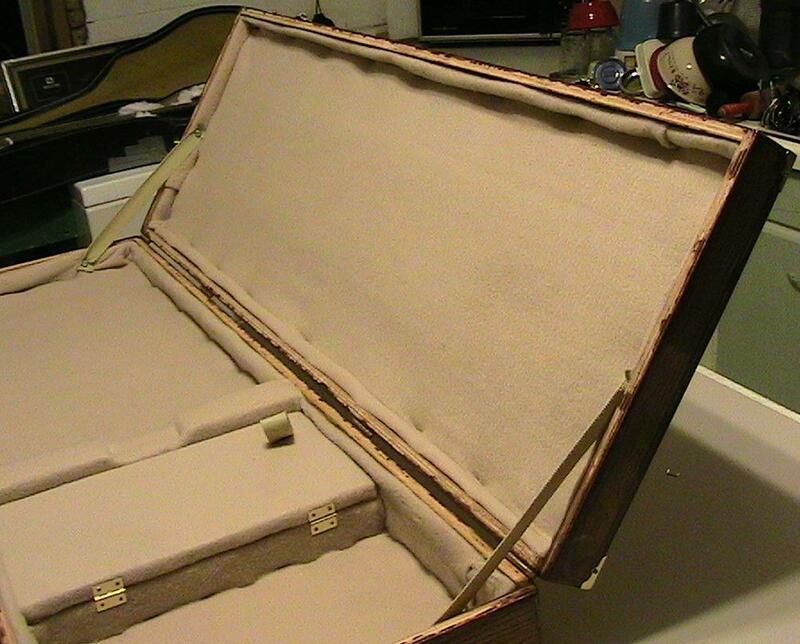 Custom Guitar Case, From Scratch. 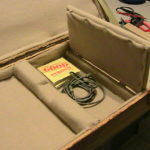 This post is about my new electric guitar case. I lone my electric guitar to my brother because he plays the guitar, and I do not. 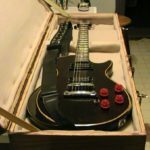 He travels with the guitar so much, that the old case was beaten into the ground and as such, the guitar was desperately in need of a new case. 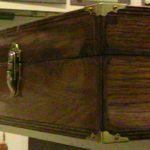 The old one served well, but it was breaking by the small storage area and as a result the side was falling out which was making the case useless. My thought process on things like this starts with, “Can I make it?”. 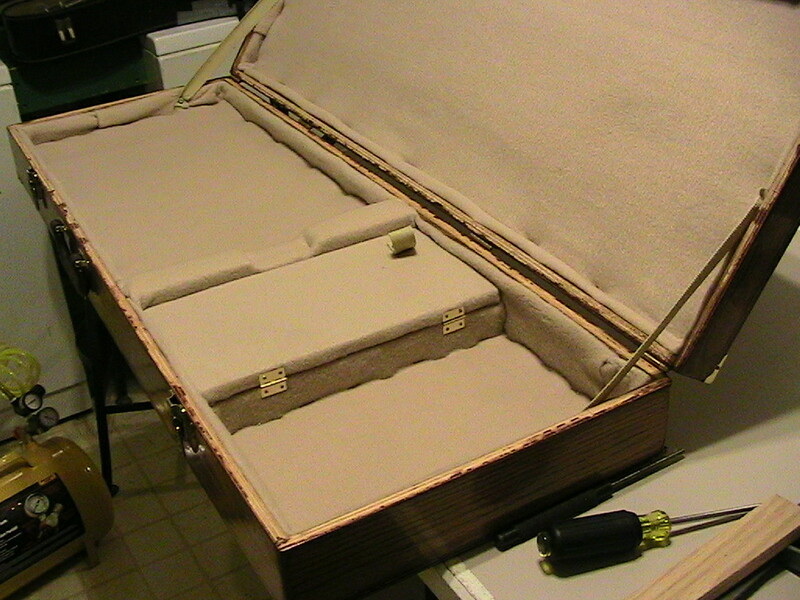 The answer is yes, I can make a guitar case. Maybe not a fun curvy case, but I don’t really like those kinds all that much anyway. My next question is, “I can make it, but will it be cheaper?” I foolishly thought that I could. This is technically true, provided you picked one of the high end cases. Before I show pictures, let me tell you some of what I did here. Each wood edge was glued, nailed, and then clamped overnight. 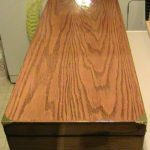 I used 1/2 inch oak plywood for the outside and a few other places. There is a 2×4 in there that supports the neck and keeps the headstock from taking weight. 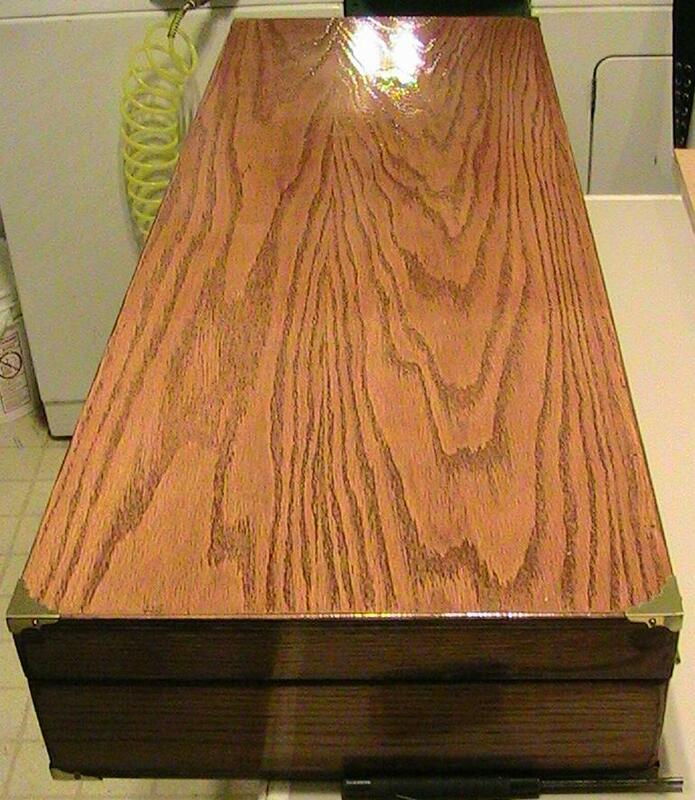 For a finish, I used three coats of stain and three coats of polyurethane. Internally, there’s 2 layers of padding everywhere the guitar will contact, and four on the lid to build up the padding and to keep the guitar from sliding around. 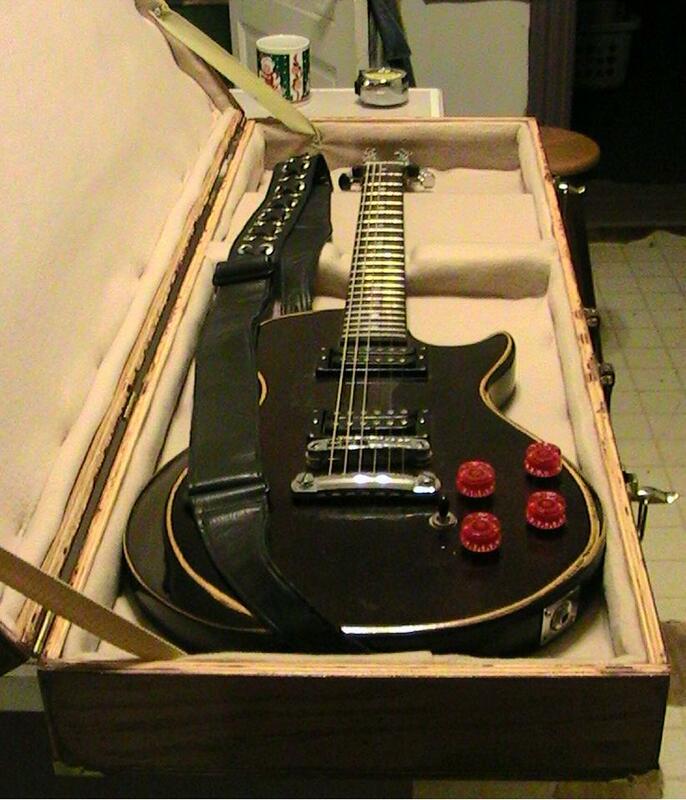 The balance is pretty decent when the guitar is in the case. Sans guitar however, its forward heavy. The whole thing itself is just heavy. I wouldn’t suggest letting go accidentally. Though the case and guitar would probably be fine, your toe would describe its urge to fall off in a colorful, metaphorical way. 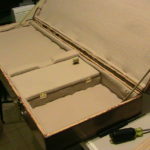 As far as the guitar fitting in the case, I can shake it and the guitar won’t move which is a good thing. I can’t really tell you guys the build time, do to the fact that I didn’t keep track and worked harder the closer I got to deadline. The guitar itself is a Vantage, though I haven’t managed to find out much anything else about it and only a little more about the brand. The light spots you see on the exterior of the guitar case are the reflection of the lights overloading the light sensor in my camera. I’m serious. You can see yourself when you look at it. Yes, there’s definitely some things that could have been done better. 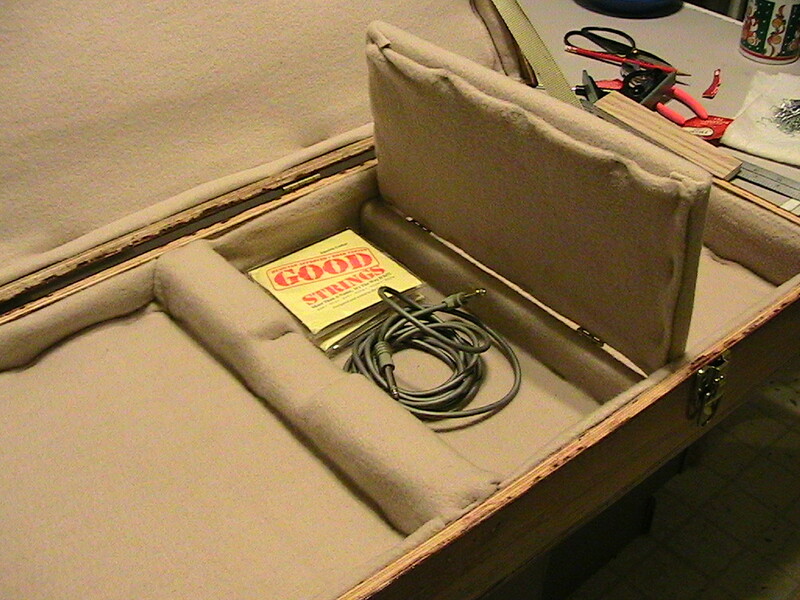 But, honestly, I don’t think I would have known without having previously built a guitar case. 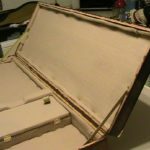 1 Response to Custom Guitar Case, From Scratch. The case looks amazing! Who cares about the curvy cases when you can have one like this? You did really good on it, definitely take pride in it!